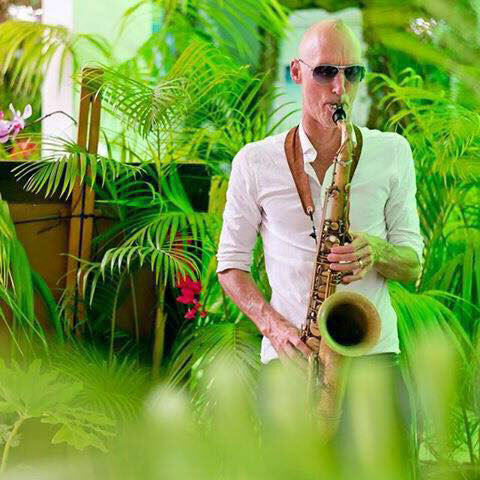 Saxophonist, composer and arranger Buddy Wells has performed and recorded with many well- known South African and foreign musicians. Live performances include Manu Dibango, Miriam Makeba, Bheki Mseleku, Moses Molelekwa, Jimmy Dludlu, Joe McBride, Gerald Veasley, Vusi Khumalo, Abdullah Ibrahim, Herb Ellis, and many others. He has recorded with Jimmy Dludlu (Polygram), Musa Manzini (BMG), Marcus Wyatt (Sheer Sound), Loading Zone (Polygram), Virtual Jazz Reality (Sheer Sound), Winston Mankunku Ngozi (Nkomo), Jack van Poll (October Jazz), Kaolin Thomson (Fresh), Gito Baloi on Smooth Africa (Heads Up), David Leadbetter (Lions Head), Blues Broers (Guava), Trully Fully Hey Wow Band (Lions Head), amongst others. Projects in which he has been involved in band leadership, composition and arrangement include Kusasa (Winner of the 1995 SAMIX Best Unsigned Band Competition), and The Truly Fully Hey Shoo Wow Band (Nominated for the 1997 SAMA Award for best Contemporary Pop Album). Buddy was responsible for the brass arrangements on Jimmy Dludlu’s ‘Echoes From The Past” which won two 1998 SAMA Awards for best Contemporary Jazz Album and for Best Newcomer. Buddy has won many personal awards including 1994 Adcock Ingram Competition for Best Jazz Instrumentalist, and the 1996 SAMRO Overseas Scholarship Competition. He is a graduate of the SA College of Music at UCT with a First Class B.Mus. Honours (Jazz Performer).